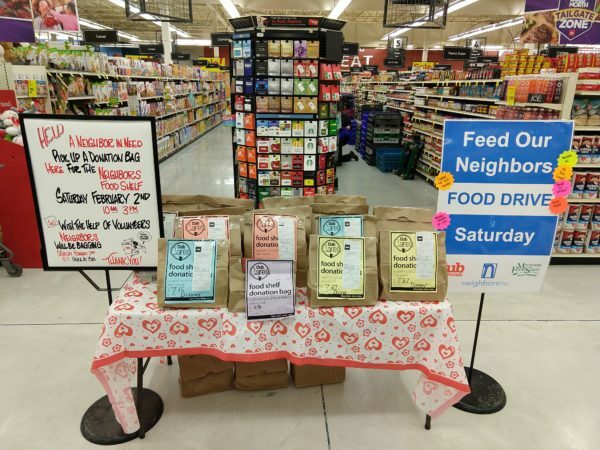 Feed Our Neighbors Food Drive - Neighbors Inc.
Join us on Saturday, February 2 at the Cub Foods locations in Inver Grove Heights and West St. Paul as we collect food and funds and bag your groceries – all to support Neighbors, Inc.! Volunteers from Neighbors will be on hand to help bag groceries and take donations of both food and funds to help stock the food shelf. The Neighbors’ food shelf relies on the generosity of our community to help our neighbors in need. Currently, an average of 500 families per month visit the food shelf. Please consider shopping at Cub Foods this Saturday and help feed your neighbors!